A strong lava flow from the Pu`u O`o eruptive crater raged through the mostly abandoned Royal Gardens subdivision starting (again) on December 2nd, 2011 and again in early March 2012; eventually reaching the Pacific ocean. 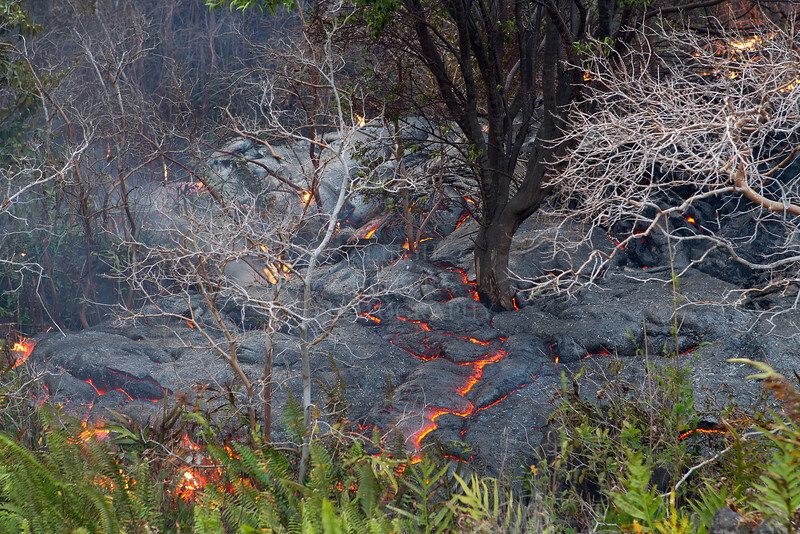 The very steep terrain there created some spectacular action with the two types of lava rivers: a`a and pahoehoe. The lava stopped flowing into the ocean in November 2013.